I’ll admit that it wasn’t until Persona 4 Golden, the Vita port of the PlayStation 2 game, that I truly got into the Persona series, but I’ve not looked back since. It’s a series with a lot of great aspects, but one of the most notable is in each game’s fantastic musical score. So much so that Persona 4 managed to spawn a rather excellent rhythm-dancing game spinoff on the Vita in the form of Persona 4: Dancing All Night. As great as Persona 4 was and as much love as I have for it though, there’s no denying that Persona 5, released just last year for PlayStation 4, has been the most successful and far-reaching entry to date. Why is that important, you ask? Well, like the game before it, Persona 5 has also received the rhythm game treatment in the form of Persona 5: Dancing in Starlight, and it’s bringing Persona 3: Dancing in Moonlight along for the ride. Released at the same time as entirely separate (and full-priced) games, Dancing in Starlight and Dancing in Moonlight are both brand new rhythm games based on their respective series entries and the genuinely brilliant music that originally accompanied them. As with Dancing All Night, each game’s main characters take the stage and dance to iconic tunes in various original or remixed forms and dance along to a series of button prompts based on six face buttons on the PS4’s DualShock 4 controller or the Vita system. Starting out simply enough in Easy or Normal modes, the succession of button taps, holds and occasional flicks of an analog stick pretty quickly start to test the ol’ reflexes and rhythm as difficulty ramps up. It’s worth noting that in the Vita versions of these games, where the control system is intuitively designed to line up with the buttons physically placed next to the handheld’s small screen, it quickly becomes second nature to observe the entire screen and become entranced in the music while letting your hands do the work. On the PS4 however, using a traditional controller while (depending on your setup) trying to track all of the moving prompts across a large screen takes a little more work and had my eyeballs working up a sweat at higher difficulties. A minor gripe mostly of my own failings, but worth thinking about for those that became one with the already symbiotic relationship between the eye and the hand on the Vita. Unlike Dancing All Night, these two new games don’t have visual-novel style story modes integrated around their dancing game. There is an overarching plot that plays out almost identically in both games, wherein their respective main characters are transported to a version of the ‘Velvet Room’, a series staple location, and forced into a dancing competition. In Dancing in Starlight, it’s at the behest of Caroline and Justine, the youngest of Velvet Room proprietor Igor’s assistants, and in Dancing in Moonlight it’s Elizabeth, their older sister. That’s about as thin as the ‘story’ is though, with the focus place squarely on the dancing, and having meeting various challenge requirements in order to unlock conversational dialogue scenes between the characters. It’s more fanservice than anything, and honestly while the eerie and meaty story in Dancing All Night was cool, I feel the lighter tone and simpler approach this time works in the games’ favours. The fanservice doesn’t just stop at the story either, with tons of costumes and accessories to unlock as you dance and view unlocked cutscenes. Each version also wears its parent title’s style with pride, tweaking UI and menu elements to match. It’s interesting as well, with the two games standing alone, that some of the reasons for picking one or the other differ. 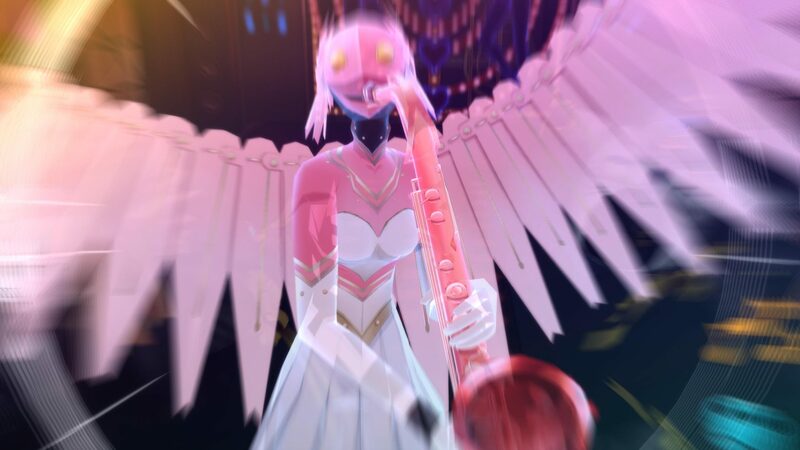 Namely, people diving into Dancing in Starlight are likely to be those who were introduced to the series by way of Persona 5 and the critical acclaim it received when it launched and are looking to experience the great music and visuals in a new way. On the other hand, those picking up Dancing in Moonlight are probably long-time fans nostalgic for the PS2’s Persona 3 and would be in it to see their favourite characters realised anew with their fantastic, modern character models just as much as they are keen for the dancing part. It does sting a little that both games are so similar and yet are releasing alongside each other as full price games, though. At least for anyone that can’t make a decision and wants to go the ¿por qué no los dos? route, buying the Endless Night Collection on PS4 gets you both games plus a PS4 remaster of Dancing All Night for less than the price of the two on their own, so that’s nice. 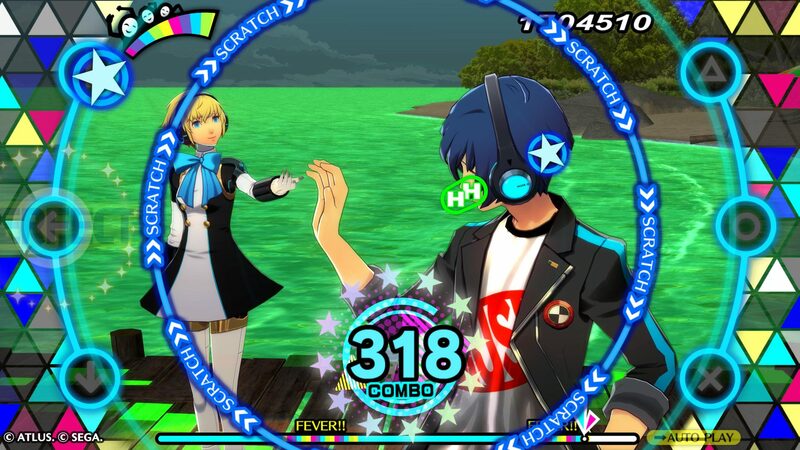 Persona 5: Dancing in Starlight and Persona 3: Dancing in Moonlight are fun spin-offs of two great games, taking their eclectic and memorable soundtracks and turning them into compelling rhythm gameplay. 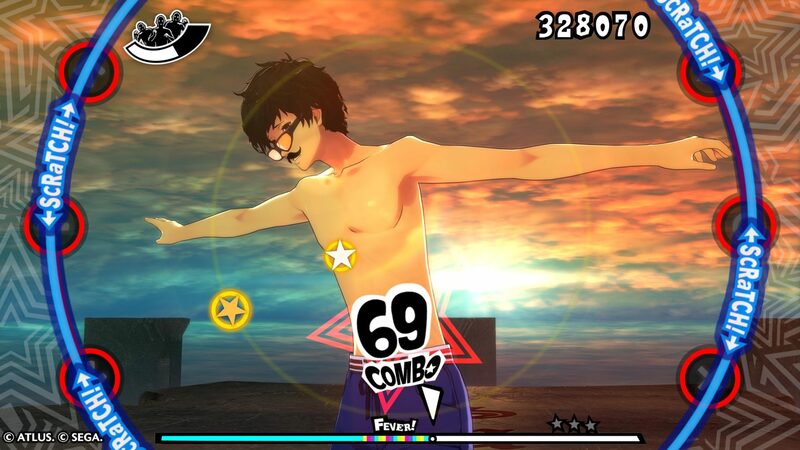 Following up Persona 4’s own take from three years ago, they wisely opt to lighten the tone and put the focus on the dancing, while still retaining the addictive costume-collecting and fanservice that fans expect. It might be a lot to ask of the truly dedicated to shell out for two very similar games, but they’re not so bereft of content or their own identities that it feels like a cheap move.